After posting a 3-1 record in an exhibition series that was preceded by a week-long domestic training camp, 13 finalists now remain for one of 12 spots on the 2014 USA Basketball Women’s World Championship Team. The U.S. began training camp on Sept. 8 with 24 athletes under consideration for the team, and as of Sept. 18, 16 players remained in contention. 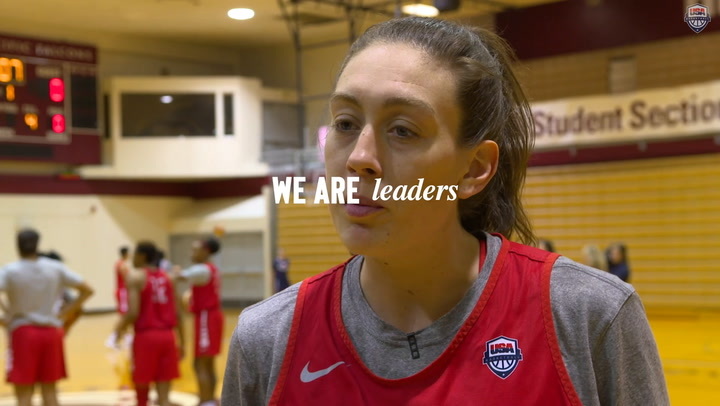 All selections were made by the USA Basketball Women’s National Team Player Selection Committee, chaired by USA Basketball women’s national team director Carol Callan. The FIBA World Championship will be held Sept. 27-Oct. 5 in Ankara and Istanbul, Turkey. The 13 finalists for the 2014 USA World Championship Team, which will be pared to 12 by Sept. 26, include: Seimone Augustus (Minnesota Lynx), Sue Bird(Seattle Storm), Tina Charles (New York Liberty), Candice Dupree (Phoenix Mercury), Brittney Griner (Phoenix Mercury), Jantel Lavender (Los Angeles Sparks),Angel McCoughtry (Atlanta Dream), Maya Moore (Minnesota Lynx), Nnemkadi Ogwumike (Los Angeles Sparks), Odyssey Sims (Tulsa Shock), Breanna Stewart(University of Connecticut), Diana Taurasi (Phoenix Mercury) and Lindsay Whalen (Minnesota Lynx). 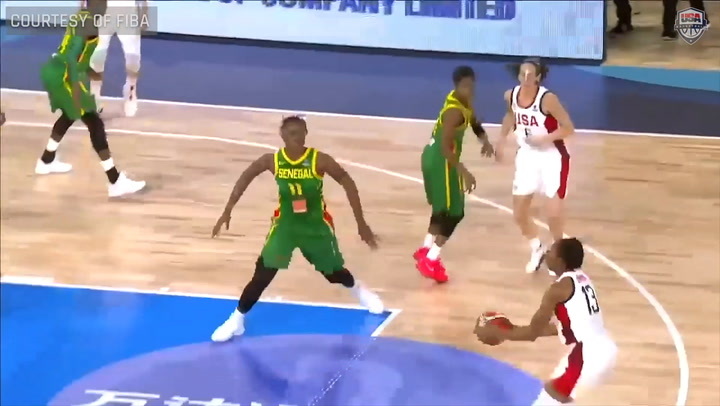 “We’ve been trying to put everything together while using 15 players and that’s not ideal,” said USA head coach Geno Auriemma (University of Connecticut). “We haven’t been able to put enough time into one unit and get some kind of rotation down, and that’s all right. We’ve been trying to give everybody a fair chance to make the team and show what they can do. But we are down to 12 for the game in Prague, and that will tell us a lot more about what this team is. Then obviously we’ll have a couple of practices when we get to Istanbul that will be big as well. Slowly but surely we’re getting to where the team is, but it’s not been easy. 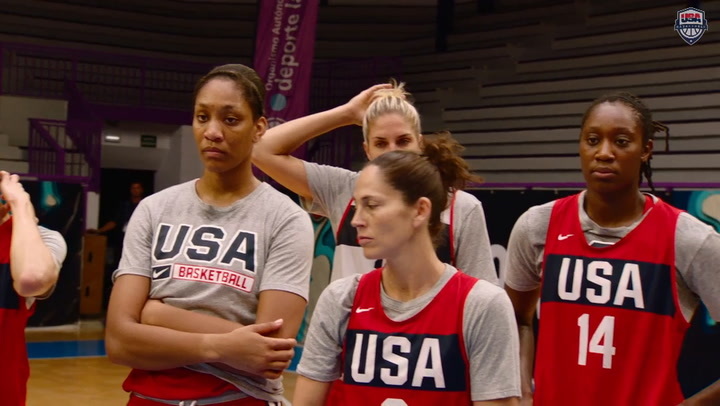 The USA National Team defeated Canada 76-51 in Bridgeport, Connecticut, then went 2-1 in the 2014 France International Tournament in Paris after taking down Australia (1-2) 72-66 on Sept. 19, China (1-2) 99-75 on Sept. 20, before falling to host France (2-1) 76-72 on Sept. 21. With the exception of Griner, who is expected to join the team in Istanbul on Sept. 24, the 12 remaining finalists will head to Prague, Czech Republic, for an exhibition game against Czech Republic on Sept. 23 (1 p.m. EDT) at Tipsport Arena, before traveling to Istanbul for their final pre-World Championship preparations. Auriemma is being assisted on the sideline by DePaul University head coach Doug Bruno, Minnesota Lynx head coach Cheryl Reeve and University of South Carolina head coach Dawn Staley; while University of Hartford head coach Jennifer Rizzotti serves as an advance scout and court coach for the 2014 USA squad. The USA Basketball Women’s National Team Player Selection Committee is charged with the selection of the 2014 USA World Championship Team and in addition to Callan, the selection committee includes: WNBA appointees Reneé Brown, WNBA chief of basketball operations and player relations, Dan Hughes, San Antonio Silver Stars head coach and general manager, and Chris Sienko, Connecticut Sun vice president and general manager; and three-time Olympic and two-time FIBA World Championship gold medalist Katie Smith, who played in nearly 200 games for USA Basketball from 1993-2008, and serves as the athlete representative.